Join us at the Point Lookout Summit for an event with Maine Poet Laureate Stuart Kestenbaum and educators across Maine. There will be an opportunity to network with other teachers, listen to a poetry reading, and share your own poems. Hors d'oeuvres will be provided with a cash bar available. He was the director of the Haystack Mountain School of Crafts in Deer Isle, Maine for 27 years, where he established innovative programs combining craft and writing and craft and new technologies. He is an honorary fellow of the American Craft Council and a recipient of the Distinguished Educator’s Award from the James Renwick Alliance. ​Gillian French’s debut novel, Grit, was an Indie Next List pick, a Junior Library Guild Selection, received starred reviews from Kirkus Reviews and ALA Booklist, was an Edgar Award Finalist, and received both a 2018 Lupine Award from the Maine Library Association and a 2018 Maine Literary Award from the Maine Writers and Publishers Alliance. Her other novels include The Door to January, The Lies they Tell, and The Missing Season (HarperTeen coming 5/21/2019). She holds a BA in English from the University of Maine, and is a member of the Maine Writers and Publishers Alliance, Mystery Writers of America, and the Society of Children's Writers and Illustrators. Currently, she still lives in her native state of Maine with her husband and sons, where she's perpetually at work on her next novel. Point Lookout is offering a special room rate for MCELA conference attendees.  Please mention that you are attending the MCELA conference to receive the rate.